Alexis Sanchez will play for Manchester United against Wolves after Anthony Martial played 90 minutes in the Champions League, says Jose Mourinho. Martial scored in United's 3-0 win over Swiss side Young Boys on Wednesday after he came into the side for Sanchez, who was an unused substitute. But Mourinho confirmed Sanchez will return to the team for their trip to Wolves on Saturday "because Martial played 90 minutes and Sanchez played zero". Sanchez is yet to score in his four Premier League appearances this season, but Mourinho would not single the forward out when asked if he had more to give. "Every player has another level to step up," he said. Mourinho said United were in for a difficult season due to a lack of transfer activity before the campaign kicked off. They then lost two of their opening three Premier League games for the first time since 1992, but have since recorded three straight victories. But Mourinho said his pre-season assessment has not changed. 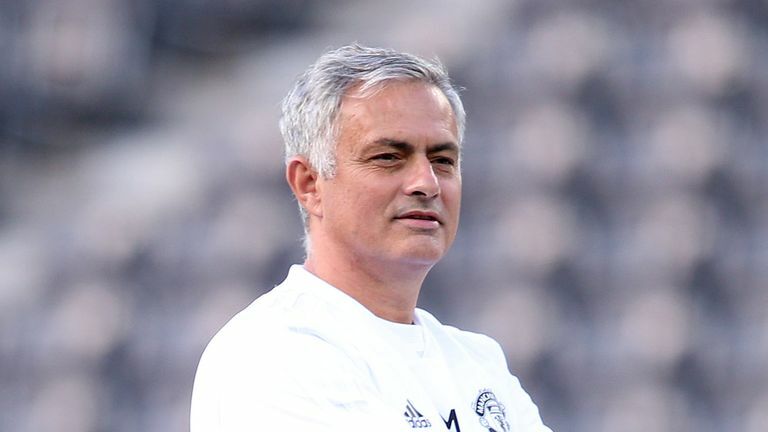 "You see the strength of the teams - Liverpool's squad, City's squad, Chelsea's squad, Tottenham's squad, Arsenal improving - it's going to be difficult," said Mourinho, whose side finished 19 points behind Manchester City last season. "I'm not saying were going to have more points than last season because we collected a lot of points but I think we're going to be a better team. "If they think the season is going to be easy for them then I think they are wrong. But I don't think they are wrong, I think they know.